Michael H. McGean graduated from the University of California, Hastings College of the Law in San Francisco, California. 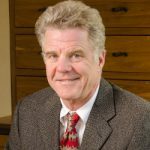 Mr. McGean returned to Oregon in 2001 to practice law as a trial attorney. Michael is a partner in Francis Hansen & Martin’s litigation department. His current practice emphasizes business litigation, real estate disputes, arbitration, administrative law, and land use. Michael’s experience includes trials in state and federal courts, appeals, administrative proceedings, and many private arbitrations. Michael has served on the Oregon State Bar’s Client Security Fund Committee. 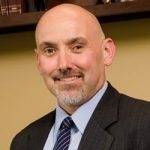 He is also a past member of the Oregon State Bar’s Civil Jury Instruction Committee, and the Local Professional Responsibility Committee for Deschutes, Crook, Jefferson and Wheeler Counties, the Oregon Criminal Defense Lawyers Association and the J. R. Campbell American Inns of Court. Michael has been rated AV Preeminent for the highest level of professional excellence by the Martindale Hubbell law directory. University of California, Hastings College of the Law, J.D., 2000.